Trusted the wrong person somewhere. Got a C&D. Time to go before the lawyers drain what left I have. Bye bye! A C&D for what? 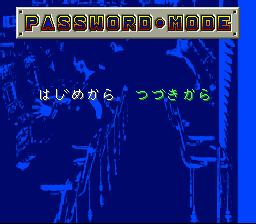 Nothing is happening here that the rest of the whole site doesn't do: romhacking. If what is happening in this thread is C&D worthy, then so is everything else on this whole site. Some IDs at Robin64's SNES Mini Compatibility List are wrong. What you're seeing is how picky the PIDs are. Bahamut Lagoon translated no longer works with 108F because that PID wants a very specific ROM and you're not supplying that any more. 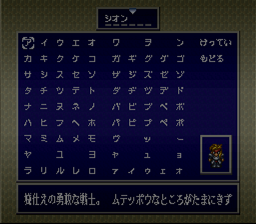 Other games that do the same include FFIV with the Namingway patch and Link to the Past with the Redux patch. Both games have official verified IDs ripped from VC releases, yet using them with these patches will C7. Hisshou 777 Fighter II - Pachi-Slot Maruhi Jouhou -- intro video 0000: https://www.youtube.com/watch?v=rfanjHryAy8. Hisshou 777 Fighter II - Pachi-Slot Maruhi Jouhou -- intro video 1610: https://www.youtube.com/watch?v=HxbVLmCP5aM. Hisshou 777 Fighter III - Kokuryuu Ou no Fukkatsu -- story mode 0000: https://imgur.com/wMDizLM. Hisshou 777 Fighter III - Kokuryuu Ou no Fukkatsu -- story mode 1610: https://imgur.com/rgWo1MF. 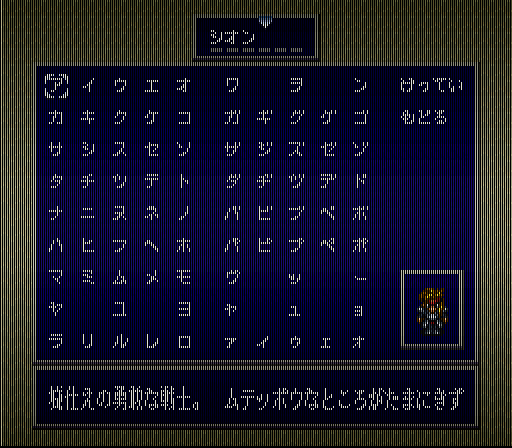 Haha, the intro text doesn't even appear in Canoe for Hisshou 777 Fighter II. For the 3rd game, the hi res text is when you enter the story mode, where it says "password mode". A cease and desist for what? Whoever sent you that is trolling you. You are doing nothing illegal. You are creating patches which is perfectly legal. Ok, give me few minutes and I'll upload screenshots with ID 0000 and 1610. Exactly this. You're not making software, there's nothing wrong being done here. Patches have been fine forever and always will be. I can't see differences with 1610 or 0000. But if you resize it to half the size (256x224), it resizes perfectly because apparently the hi-res image is just the regular res image, but doubled. Strangely, Canoe is resizing the image correctly instead of breaking it like with the other hi-res games? Canoe, you never make sense..
Ooh! Something I can actually answer! The black lines throughout the image means that there's no sub-screen, so there's no extra colored lines making things blurry (black blends very cleanly). This means a nice and clean image shrink down to 256x224. The last Top Gear patch works also in Top Racer? Indeed. And sluffy doesn't even own a SNES Classic!? Who is the C&D from and what is it about? And how was it delivered? Very odd. Unless we're missing some important information? It doesn't appear that the new Top Gear patch works on Top Racer, unfortunately. Honke Sankyo Fever 2 - Jikki Simulation (Japan) -- Same problem as Honke Sankyo Fever - Jikki Simulation (Japan). Honke Sankyo Fever 3 - Jikki Simulation (Japan) -- Same problem as Honke Sankyo Fever - Jikki Simulation (Japan). Honoo no Toukyuuji - Dodge Danpei (Japan) -- Looks fine. Houkago in Beppin Jogakuin (Japan) -- Looks fine. Human Baseball (Japan) -- Looks fine. Idea no Hi (Japan) -- Looks fine. Igo Club (Japan) -- Looks fine. Ihatov Monogatari (Japan) -- Looks fine. Ikari no Yousai (Japan) -- This game was previously tested and fixed (https://www.romhacking.net/forum/index.php?topic=25789.msg359170#msg359170)!! Illvanian no Shiro (Japan) -- Looks fine. Inazuma Serve da! Super Beach Volley (Japan) -- Looks fine. Ippatsu Gyakuten (Japan) -- Looks fine. Isozuri - Ritou Hen (Japan) -- I think this one needs Hi-Res ID (0000: https://imgur.com/nFQ47iP, 1610: https://imgur.com/MjKJj2P). Itadaki Street 2 - Neon Sign wa Barairo ni (Japan) -- Looks fine. Itou Hatasu Rokudan no Shougi Doujou (Japan) -- Looks fine. Thanks for the tests. Won't be posting anymore if sluffy is not coming back after this fake C&D stuff. It has to be fake. Sluffy, where are you pal? Let's have a look at this C&D. Sorry for the silence. Thought maybe if it's fake, this person would go away if I shut up for awhile, move away, change emails, aliases. - Got mailed a C&D with my real name and residence. Scary. - Quietly read the feedback and thought maybe it's a bluff. Did some research in the downtime. Planning. - My boss just terminated me today after my shift ended. Showing that same C&D letter as grounds for dismissal. This is creepy and personal. I have to go. I enjoyed this as a hobby but this is too much. Thanks all! But what the living hell is this? Who could hate you so much to do that? But didn't you explain to your boss that the C&D is fake? What did the C&D say you even did? "Hey sluffy's boss this guy makes patches for Canoe"? WTF? Nothing you are doing is illegal. I'm sorry to hear that, it seems like a plot to fire you from job. I hope you get a good lawyer because you haven't done absolutely nothing illegal. Good luck, we'll miss your skills. I have tested Marvelous with ID 1610 + Extra Byte 08 + -no-lowlatency and I think it runs fine the music with borders for me except at the screen to enter your team name but can be solved choosing the black border, the only issuse I have found is the gamma decrase in the color of the buttons on the save/load screen and in the screen to enter your team name. Can anyone else please confirm it? ?